We do not live in a box and our lives are not compartmentalized but are dynamic and unpredictable at times. This is not another formula or 12 step process, because that does not work! 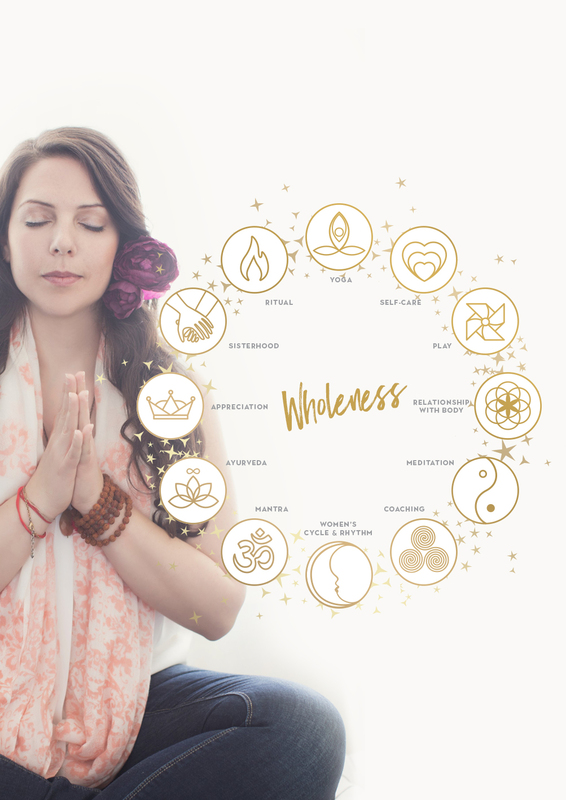 Throughout all my offerings, I support the women in my programs using what I call the 12 Gateways of the Yoga’licious Way, which are sacred invitations to play and explore, bringing you back home to yourself and what you really want. I will support you in moving in harmony with your body while you strengthen and explore new edges of flexibility on and off your mat. This is a shift from forcing or pushing through to learning how to listen, soften, and create space for what your body is communicating to you. Self care isn’t selfish; it is essential. This is about embracing a whole new paradigm of connecting with yourself that isn’t just about pedicures and massages. Embracing consistent self-care as a priority without guilt or remorse isn’t something most of us have learned growing up and becomes a practice we will explore. I will guide you in creating practices to bring you back to yourself that are approachable and uniquely serve your needs. So often life is seen as serious work, trying hard, and willing yourself to do things. We know that there is a more life-giving way! The science has spoken and play stimulates growth of brain cells, improves memory and fosters creative problem solving. We will play together through the most challenging places where you are stuck to create easeful and sustainable shifts into what you really want. Imagine feeling uninhibited and meeting your body as an ally, instead of an enemy that needs to be fixed. I will support you in learning how to listen to the amazing wisdom your body has as it is always communicating to you, and has such important wisdom to share. Open up to your own inner world and practice bringing your loving attention home to yourself. We can give so much of our attention outside ourselves, that at times we don’t really know what thoughts are our own. This is about reclaiming your energy, your voice and your desires through being with yourself. For generations we’ve been taught that our bodies are unpredictable, not to be trusted, and are separate from our heads. Our brains can get stuck in repeating old and limiting patterns that we have learned over years of self-doubt or trauma. This isn’t about ignoring the intelligence of your mind, but rather reuniting your head with the innate intelligence of your body. This merging helps unwind old beliefs and can create sustainable shifts at the cellular level that were previously impossible when attempting to figure it out only in your head. As women our cycles have been seen as taboo, something to hide or cover up. I will help you in the journey of embodying your own feminine power that is rooted in the wisdom and cycles of your body. When you learn to realign with, instead of against, the forces of nature, you can really begin to feel in the flow while being grounded. The word mantra comes from the ancient Sanskrit language: “man” means mind, and “tra” means release. We play with different mantras (which are sounds or vibrations) in both Sanskrit and English, to invoke and awaken energy. Sound is powerful as it brings us back into resonance with our essential self, and can interrupt old thoughts and patterns. My thought is you are here in this lifetime to express your essential self! In the Bhakti yoga tradition, mantra is one of the main practices to reunite you with your heart and help you embody a pure expression of love for yourself and others. 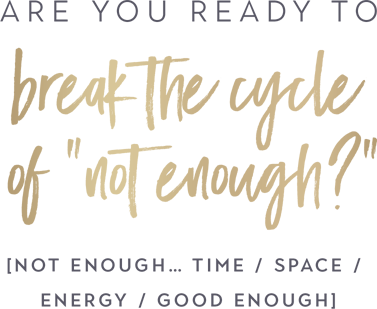 Ayurveda is the “science of life” and embraces supporting, and balancing, each individual’s unique elemental constitution. I love working with Ayurvedic principles because it is truly about reuniting you with your own unique nature, which is not one size fits all. Being in tune with the seasons in our self-care practice, food, and exercise are all ways to support your mind-body connection. Living from the energy of appreciation has the power to transform limitations into playful new possibilities because where you chose to give your attention, your energy will flow. The direct experience of appreciation can help you feel more at ease, in the flow and create deeper connections with yourself and others. There is a deep need and desire for women to have community and sacred space, which stems from generations of women gathering together in circle to connect, tell stories, share, and support each other. Our society often tells us that support or having a community to lean into is weak, which can lead to a culture of isolation. Cultivating a sisterhood is a shift from a world of women competing and comparing to one of coming together to celebrate our uniqueness. Anything that helps you embody or physicalize your intentions, your desires, or your visions can be considered a ritual. 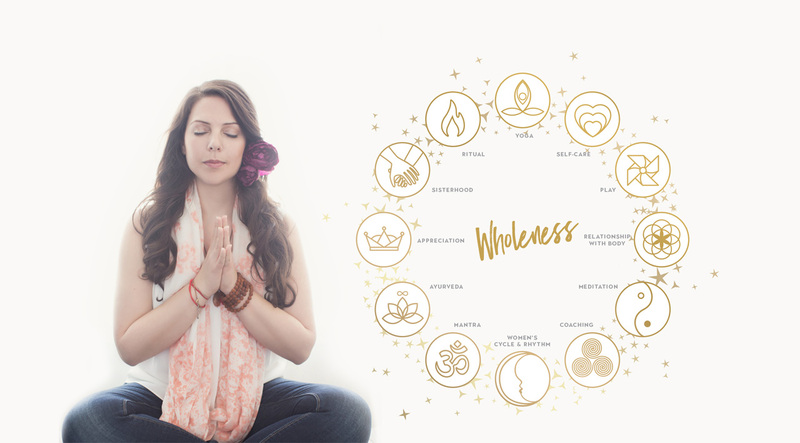 From daily self care such as washing your face intentionally to releasing a written limiting belief through the power of fire, we explore how these symbolic gestures can support you in expressing your essence. how these foundations fit into my offerings.